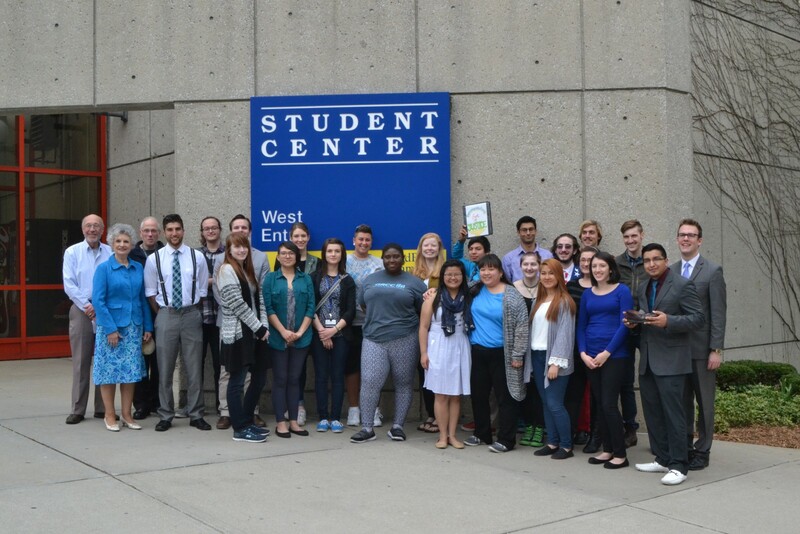 Student Alliance officers, club members and trustees gather for a group photo. GRCC SA President Brandon Sinclair presents the SA officer plaque to the new officers. Sinclair encourages Garcia to put his best foot forward as the new SA president by giving him a shoe with a letter inside. The new officers are sworn in. Denis Martinez, Maleny Bennyra-Crespo and Jose Garcia recite the oath to become SA officers. 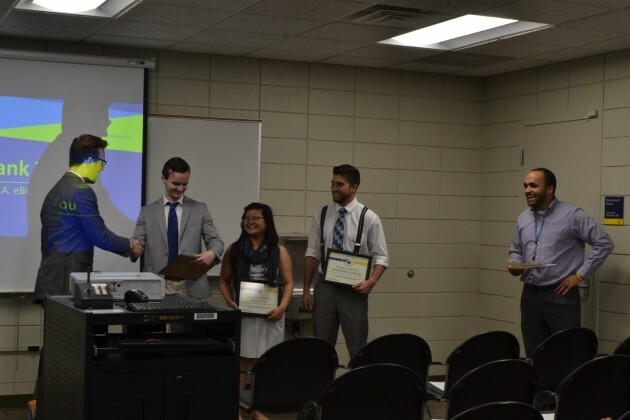 SA officers Graham Sniesak, Lee Lee Tran and Kevin Curiel-Vasquez receive certificates for their service on SA this year. Three new officers were sworn in at today’s Grand Rapids Community College Student Alliance Meeting. 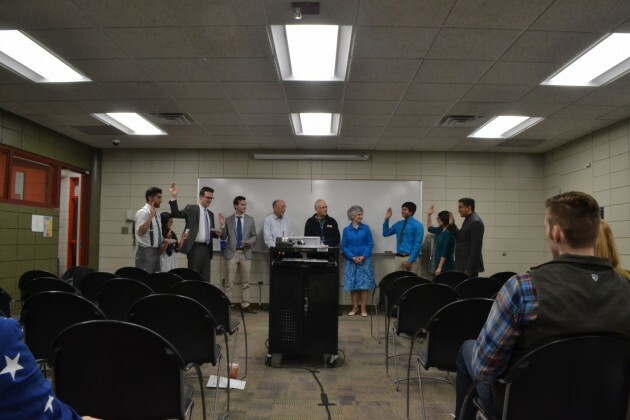 The officers were introduced to the audience and pledged an oath, before shaking hands with GRCC trustees Cynthia Bristol, Richard Verburg and Richard Stewart. 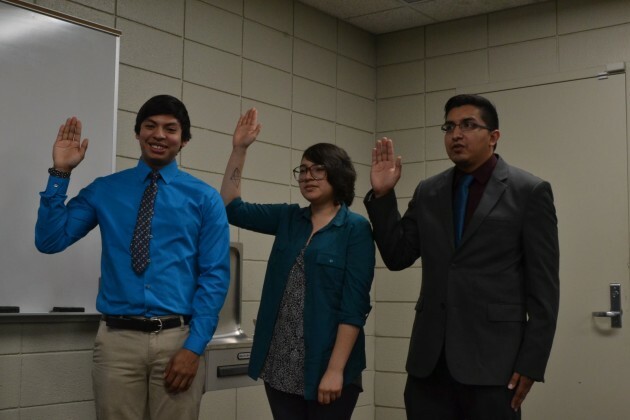 GRCC student Jose Garcia will take the reins as Student Alliance President. Garcia, 26, plans to be dual-enrolled at Grand Valley State University in the fall. Denis Martinez, 19, is the new Communications Director. He plans to major in Art Education. Maleny Bennyra-Crespo, 23, is majoring and marketing and graphic design. As the new Director of External Affairs, Crespo is excited to meet students around campus and hear their concerns. “I’m really excited to hear about what students’ needs are on the campus and how I can better serve them,” Crespo said. Crespo took some credits at the GRCC Lakeshore Campus and is now finishing her degree in Grand Rapids. As a new student on campus, Crespo has started meeting with club presidents and volunteering at club events to better integrate herself into the campus community. 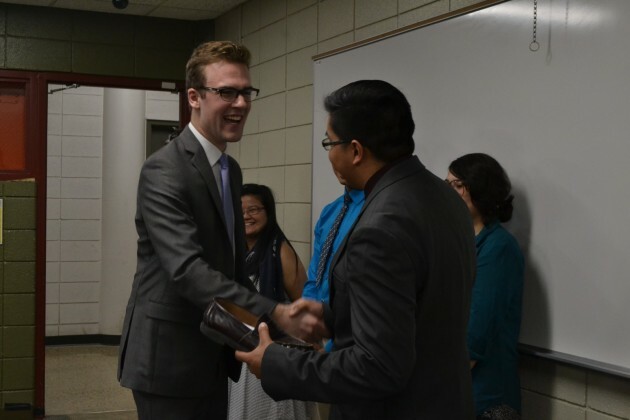 A unanimous vote approved SA President Brandon Sinclair’s extra allocation request for $2,000 for a student lounge. The lounge will be open to all GRCC students and will feature fun activities, including a pool table. 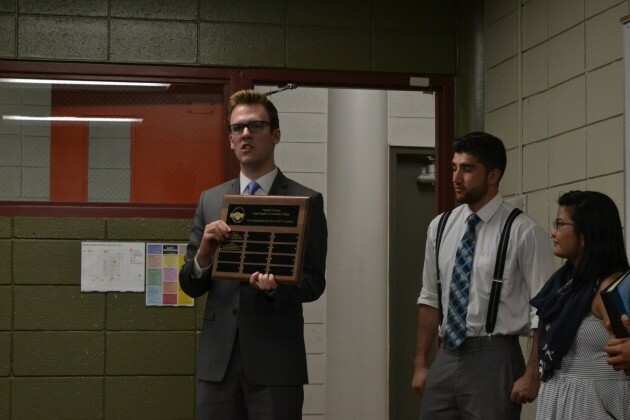 All four officers took turns addressing the State of Student Alliance and the goals that were accomplished this year, including increased meeting attendance, budget stability and working with student feedback.